In ‘realistic’ young adult (YA) literature, pregnancy is typically treated with disdain. Thus, when narrations of pregnancy do appear in YA literature, they typically portray pregnancy, and subsequent parenthood, as problematic. 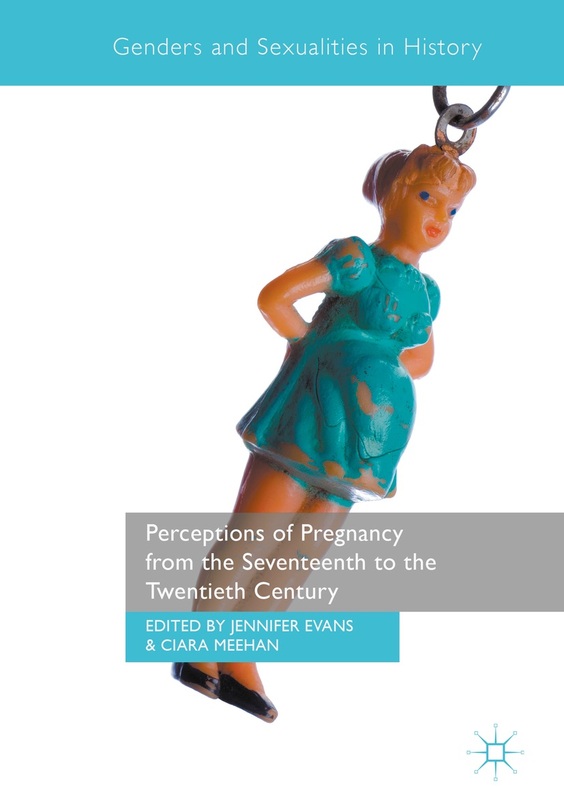 This refusal to engage pregnancy as anything more than a problem offers a heightened instance of wider discourses in this genre that aim to maintain conservation, hegemonic ideas; to limit adolescent girls’ control over their bodies by telling them that they shouldn’t display sexuality or “sleep around”. This limiting of the body’s sexuality is embedded in contemporary Western culture’s dominant image of acceptable girlhood: the girl is young, fit (both sense of the word) and certainly not pregnant. Mythopoeic YA fantasy, a vein of what could be termed speculative fiction, is challenging this dominant ideal by offering not only positive narrations of pregnancy but also fantastical ones that question the representational economy—an economy of self through appearance—that is the mechanism behind those limiting ideals. In particular this can be seen in Tamora Pierce’s Daughter of the Lioness duology, a series that follows Alianne (Aly) of Pirates Swoop as she is caught and sold into slavery in the Copper Isles (a foreign country) before ultimately playing a pivotal role in the Isles’ raka-led rebellion against the ruling luarin classes (issues of race are hugely pertinent to this series). Aly is pregnant — the “morning sickness,” “slight swell to her belly,” not to mention the “human being … taking shape beneath her navel” — make this quite clear, but there is a key difference between the two markers “morning sickness” and “slight swell:” one is a visible, physical change to the body and the other is not. This visibility/invisibility split speaks a conundrum of pregnancy, a tension between the internal (where change is taking place) and the external, where some — and only some — evidence of that change is made available, and it does so by offering the possibility of two, or more, bodies within one body. Yet, this is fantasy, so this ‘normal’ complicating of appearance — the pregnant body both reveals and conceals and multiplicity — can be taken further, as Aly’s fear that — rather than giving birth to a mortal, human baby — she will deliver eggs, owing to her husband’s heritage (he is a crow, turned man), makes explicit. “‘No eggs no eggs no eggs…’” is Aly’s mantra throughout delivery.2 While a human woman giving birth to eggs is highly improbable within Western consensus reality, the fantasy nature of these tales means that such is possible, if still unlikely. However, whether or not Aly gives birth to eggs is really not the point, the point is: while it is known that Aly is pregnant, the pregnancy does not reveal exactly what is “taking shape beneath her navel.” In the case of this pregnancy—set within a Secondary World whose logic and rational differs from Western consensus reality—Aly may very well give birth to eggs and not a human child. The pregnant body, both this one within the text as well as ones outside the text, reveals — and conceals — its multiplicity. The representational economy is problematic, particularly in its instance on a one-to-one correlation between self and appearance. On one level, the reliance on sight (appearance is seen) means that—without the ability to breach the barrier that is one’s skin—until the baby is born, her shape is unknown. Thus, while Aly does not, in fact, give birth to eggs, she does, still surprisingly, give birth to triplets: “‘Here’s what’s been causing the trouble!’ Mistress Penolong [the midwife] said with pleasure’… She lifted up a small wriggling body … ‘You have another daughter’”.3 It is has been “trouble” because they, Aly and the midwife, did not know how many babies Aly would have; in the end, a daughter (Ochobai) and a son (Junim) preceded this final baby girl (Ulasu). While Aly’s pregnancy makes available a certain blurring of the single, stable body, it is a limited blurring, as is the case for all pregnancies. Unless medical technology is employed to see within, the body does not reveal its depth. Here, the limited visibility of the internal illustrates how the body’s surface is not enough for determining self: Aly’s self, while pregnant, has in fact, been comprised of three additional bodies/selves, more than even the “normal” expectations of pregnancy predicted. Pregnancy makes explicit the body’s liminality. It is a threshold both revealing and concealing the depth within. Yet, Diane’s pregnancy, unlike Aly’s, makes the internal more available on the body’s surface. In this case, she must shape-shift below the waist every time her unborn child does. Daine’s having to shape-shift each time her unborn child does establishes a tension between the outside appearance (where shape-shifting is available) and the inside womb (where the unborn child is shape-shifting). While pregnancies typically require some sort of “shape-change”—as Aly’s “slight swell” indicated—Daine’s shape-shifting to match the baby takes that change to an entirely different level: it makes explicit the shape(s) of the child; Daine’s form shifts to match the unborn child, to make the internal visible on the external. For the adolescent girl who is limited to a very narrow ideal of appearance — and of being through that appearance — these narrations of pregnancy are highly provocative. Not only do they offer positive models of pregnancy but they also complicate the limiting ideals of appearance by demonstrating that appearance is itself complicated, doing so through pregnancy simply makes the offering more poignant. Leah Phillips recently submitted her PhD thesis “Myth (Un)Making: Female Heroes in Mythopoeic YA Fantasy.” She is intertesed in young adult literature, liminality, myth and fantasy, as well as female adolescence. Tamora Pierce, Trickster’s Queen, Daughter of the Lioness (New York: Random House, 2004), 441. Tamora Pierce, Tortall and Other Lands (New York: Random House, 2011), 77. Tamora Pierce, Trickster’s Choice, Daughter of the Lioness (New York: Random House, 2003), 17. This entry was posted in Blog Posts, Past Posts and tagged appearance, fantasy, YA literature. Bookmark the permalink.